AUSTIN, Texas (AP) — An Austin police officer was shot and killed while struggling to subdue a potentially intoxicated man at a Walmart in Austin on Friday, and two of the employees tackled the suspect and disarmed him until help arrived, officials said. Senior Police Officer Jaime Padron was shot twice — one in his protective vest and a second time in the neck — and died at the scene, Austin Police Chief Art Acevedo said at a news conference. Padron, 40, was responding to a call about a drunk man inside the store around 2:30 a.m., Acevedo said. The suspect tried to run and the officer chased after him, before the two fell to the ground. "The suspect produced a semi-automatic pistol and shot the officer at point-blank range," Acevedo said. Padron didn't have a chance to even pull out his own weapon. As the officer called for help with his radio, two Walmart employees tackled the suspect, who fired a third shot at one of them before he was disarmed, he added. Once the suspect was handcuffed, another officer gave Padron CPR and medics tried to revive him. They pronounced the officer dead at 2:44 a.m. The initial call was considered low priority and low risk, Acevedo said. "This was a routine call," he said. "What makes our job deadly is that there is no routine call." Brandon Montgomery Daniel, 24, was taken into custody, Acevedo said, and later booked in the Travis County jail on capital murder charges in connection with the shooting. If convicted of capital murder, Daniel could face the death penalty. Acevedo said that Walmart security cameras had filmed the entire incident from multiple angles, and the officer's lapel microphone recorded the audio onto his patrol car's video system. But Acevedo refused to discuss details of the investigation. "I'm not going to do anything to jeopardize a capital murder investigation," Acevedo said. Padron is the first office shot and killed in the line of duty in Austin since 1978. He leaves behind two daughters, ages 10 and six, Acevedo said. Daniel moved to Austin a year ago from Fort Collins, Colo. His Facebook page said that he was a software engineer. Dante Davis, Daniel's roommate, told the Austin American-Statesman that Daniel had received a promotion at Hewlett-Packard. Davis, 26, said Daniel told him he was going out Thursday night to get the prescription drug Xanax. Davis said he went to bed early and didn't see Daniel again. When he woke up Friday, Daniel's bed was made and the lights were on. "He's been a great roommate. We've never had any problems. It doesn't make sense," Davis told the newspaper. Acevedo praised the actions of the Walmart employees, saying they did all they were supposed to do. "I am heartened that two brave souls took action. They tackled the suspect when they saw the officer was shot unprovoked," Acevedo said, adding that the employees do not want to be identified at this time and want to maintain their privacy. Mike Sheffield, a retired detective and close family friends, said Padron worked at the department for more than three years and had previously worked for the Austin airport police and the San Angelo police department for 14 years. Padron had also served in the Marine Corps and was a veteran of the Gulf War, he added. 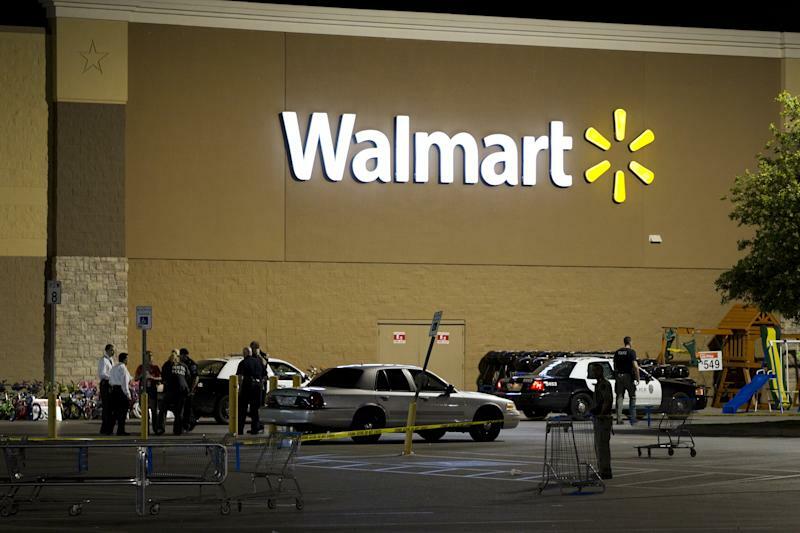 Wal-Mart Stores Inc. spokeswoman Dianna Gee expressed sympathy for the officer's family and colleagues, and said the Bentonville, Ark.-based retailer is proud of staff at the store. "The associates displayed courage under these extreme circumstances," Gee said. She declined to provide more details about the shooting, referring questions to the police. 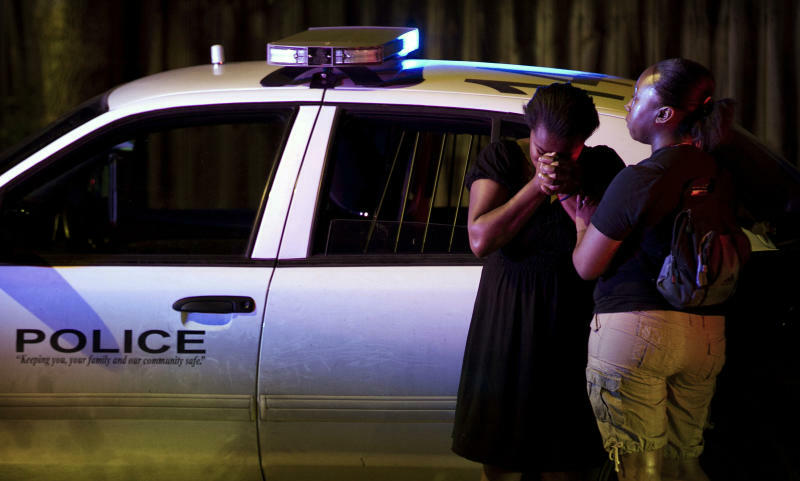 Austin city manager Marc Ott lamented the officer's death. "It is a sad day for the city of Austin to lose a member of our family," Ott said.